The current academic and financial planning industry definitions of “risk” are changing quickly, but the notion of what constitutes a risky investment strategy is still stuck in the Dark Ages. Wealth management expert Kenneth Solow takes a fresh look at the investment industry’s reliance on Buy and Hold investing, exposing the flaws and potential dangers of this strategy during long-term bear markets. The fact is, patiently waiting for stocks to deliver historical average returns is not an effective investment strategy. Solow advocates a different approach called Tactical Asset Allocation, and he offers the reader an unparalleled look into the methods, techniques, and safeguards of active portfolio management. 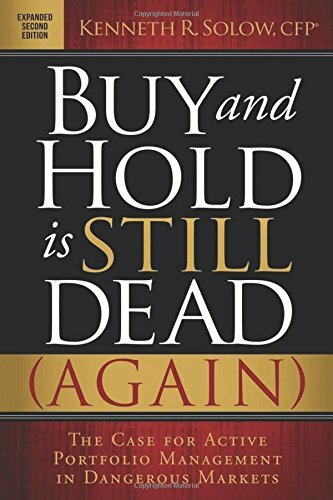 Now in its second edition with updated material and a new chapter, "Buy and Hold is Dead (Again)" remains an invaluable investment guide for our financially challenging times.